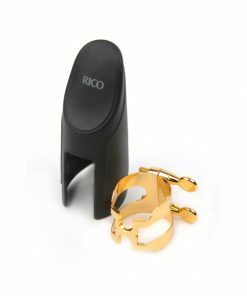 The Rico Alto Sax H-Ligature was conceived as a “retro” version of the famous Harrison ligature, used by many of the worlds greatest saxophonists and clarinetists. 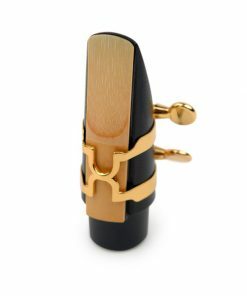 The Alto Sax H-Ligature makes use of a four-point system, which applies equal pressure to the reed on the outside edges rather than the center, and feature a two-screw, inverted design. 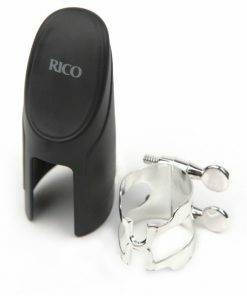 Each comes with Rico’s signature mouthpiece cap, innovatively made of soft, overmolded plastic. These ligatures allow for maximum reed vibration while still providing a richer overall tone, excellent response and good tonal presence. The Rico Alto Sax H-Ligature fits most plastic and hard rubber alto sax mouthpieces. 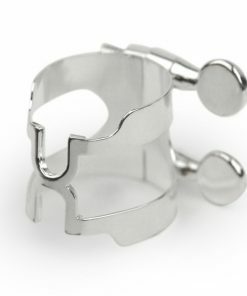 However, since mouthpiece makers all use different design concepts for the outside of the mouthpiece, the H-Ligature typically needs to be fit to the mouthpiece. We @ Kessler & Sons Music recommend applying some cork or tuning slide grease to the threads of the screws prior to fitting the ligature. 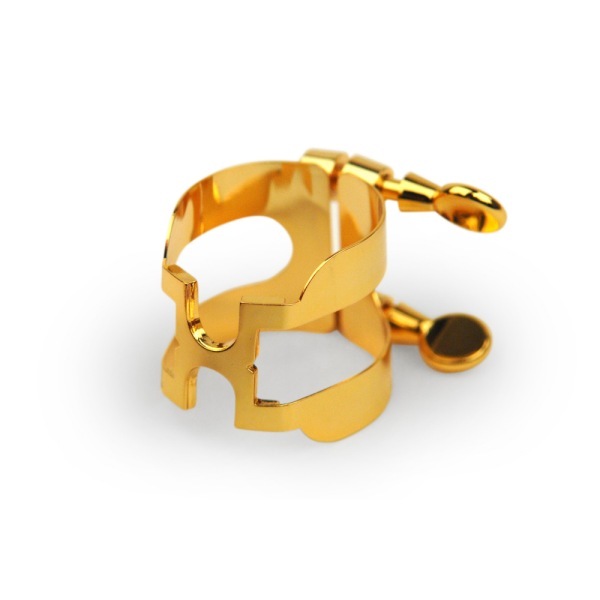 This will help fit the ligature to the mouthpiece easier. On especially wide hard rubber mouthpieces, we recommend slowly fitting the ligature WITHOUT a reed on the mouthpiece first. 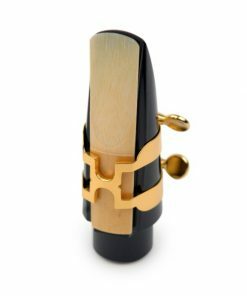 After the ligature has re-shaped itself for the new mouthpiece, then re-fit the ligature a second time with a reed on the mouthpiece. 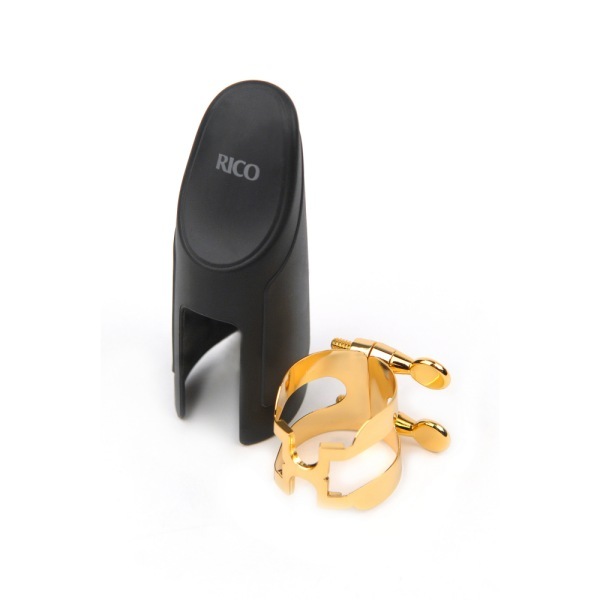 This will help provide accurate fit, feel & performance out of the Rico Alto Sax H-Ligature!